The majority of our turtle patients that weren't quite ready to join in the Sea Turtle Trek are ready for release now! 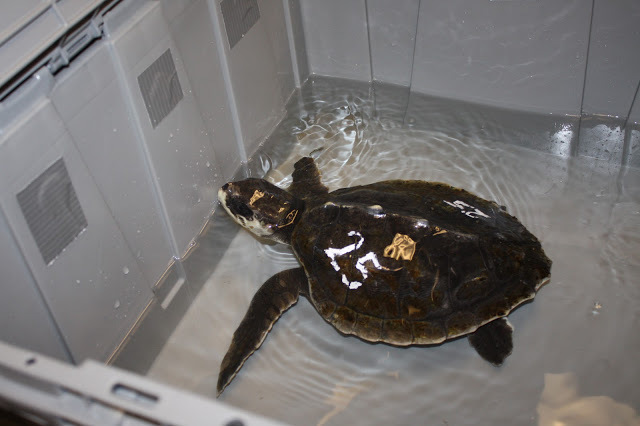 After a record year of turtle strandings from the fall of 2012 and many, many months of intensive medical treatments, a batch of Kemp's ridley turtles were released into the ocean last week. A group of the Rescue Team, volunteers and staff, drove down to Long Island, New York for this special occasion with the assistance of the Riverhead Foundation and Cross Sound Ferry. Some very special patients were on this trip, so enjoy their updates and amazing progress! Last week, a group of the Rescue Team, including volunteers and staff, drove down to Long Island, New York for a special release. 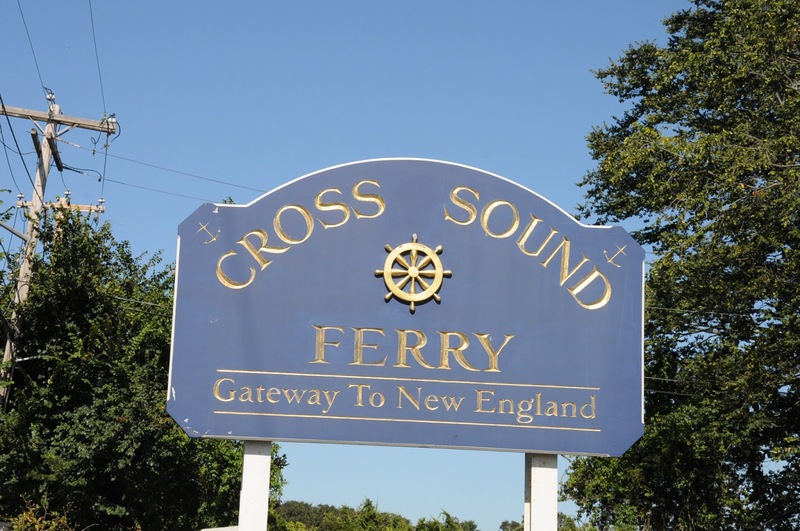 The Cross Sound Ferry was supportive in facilitating our vehicles and passengers, including our special cargo of endangered sea turtles, for our safe passage to Long Island. Once in New York, we drove over to the southern side to release the turtles into the Atlantic Ocean, where the temperature was perfect and there was no risk of them getting 'stuck' in Long Island Sound where cold stunning also occurs. Staff from the Riverhead Foundation lent their support by coordinating with the beach in Hampton Bays, NY for a release site and spending their valuable time with us making sure everything went smoothly. Six turtles were released. Above, selected animal health department staff and rescue volunteers who spent countless hours caring for these turtles prepare for release. I love the smiles on their faces! And the turtles flapping their flippers in anticipation of an ocean return. Above, a few of the turtles race down the beach. #169, last turtle in the back right, was a special case in that he had a former injury of a broken femur. There was limited movement of the flipper and radiographs showed a likely fracture. A CT scan confirmed that this was an old and already healed fracture that did not require any treatment from us. It is amazing how well wild animals can heal on their own. He did have many abrasions and necrotic areas of his head and carapace that required extra care throughout his cold stun treatment. None of this stopped him from being the first turtle in the water! Guess who else was released? After a miraculous recovery, #25 'Rizzoli' was healthy again! He began his journey with us on a ventilator and in extremely critical condition. You can read about his comeback here. #25 was a fighter! He ended up being one of the few ridleys that had to be placed on a diet and even though he was the smallest turtle in our care at the end, he had the biggest personality. It was an honor watching him go back into the water. #66 was another interesting patient. He developed flipper lameness and joint swellings that required us to use some alternative treatments such as laser therapy (pictured above,) and acupuncture. But that lameness and swelling resolved as a result of antibiotics, pain management, physical therapy and the treatments mentioned above and he also joined in this release. This is a great shot just before he enters the water. The release team! We couldn't have taken care of so many turtles this year without all these people. And these folks represent just a fraction of the total effort. Thank you to all the volunteers and staff from other departments and organizations (including Julika from the Riverhead Foundation above in red). Releases are an exciting time for all involved. We still have 7 more turtles in our care, most of which will be released soon as well. This group will have satellite tags applied to their carapaces in addition to the normal tagging we do. We'll let you know how that release goes and how to track those satellite tagged turtles!